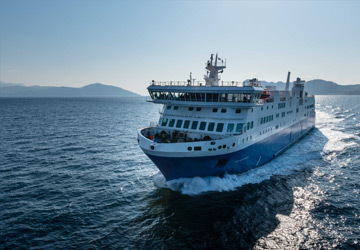 The Naxos Rafina ferry route connects Cyclades Islands with Athens and is currently operated by 3 ferry companies. 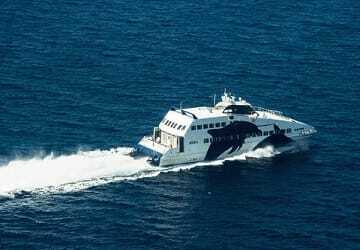 Cyclades Fast Ferries operate their crossing up to 14 times per week, Sea Jets 3 times per day & the Golden Star Ferries service is available up to 14 times per week. There are a combined 49 sailings available per week on the Naxos Rafina crossing between Cyclades Islands and Athens and with 3 ferry companies on offer it is advisable to compare all to make sure you get the best fare at the time that you want to travel. Prices shown represent the average one way price paid by our customers. The most common booking on the Naxos Rafina route is a car and 2 passengers. Considering all the bad reviews for Sea Jets,my experience was fine.The ship departed at said time and arrived on time making 3 stops along the way.Staff were pleasant and professional. 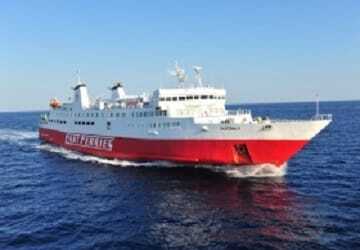 My only negative is the ship/fast ferry was small and very old,compared to the other companies. "Shame for the 2 hours delay"
Excellet staff, clean and efficient ship, unfortunately we arrived 2 hours later. No one explained us anything. "Not very punctual and very busy"
The ferry was a bit over crowded and was one hours travelling longer than indicated. Not sure was worth the higher price that we paid. The Greek town of Rafina lies on the east coast of the Attica region of mainland Greece, on the shores of the Aegean Sea. The town is close to the town's of Artemida and Nea Makri and also to the Greek capital, Athens, which is around 25 km to the west. because of its proximity to Athens Rafina is popular with many Athenians who visit to enjoy the town's many fish restaurants that can be found lining the harbour. It is not uncommon to see the day's catch lying on beds of ice outside each restaurant. In ancient times Rafina was named Arafinidon Alon but its history dates back to prehistoric times, but more specifically to pre-Hellenic times. In Askitario, to the south of Rafina, archaeologists have found a unique vase with a dog painted on it which has been dated back to 2,800 BC. Another significant find was near the town's port where a bronze foundry was discovered and is thought to be one of the oldest in Europe, and dates back to 1800 BC. After the Port of Piraeus, Rafina's port is the second largest in Attica. 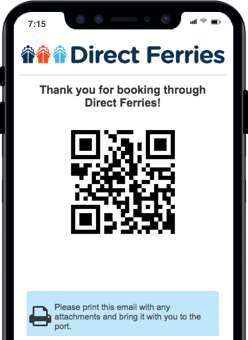 Ferry services operating from the port depart to the southern part of Euboea and to the Cyclades islands.